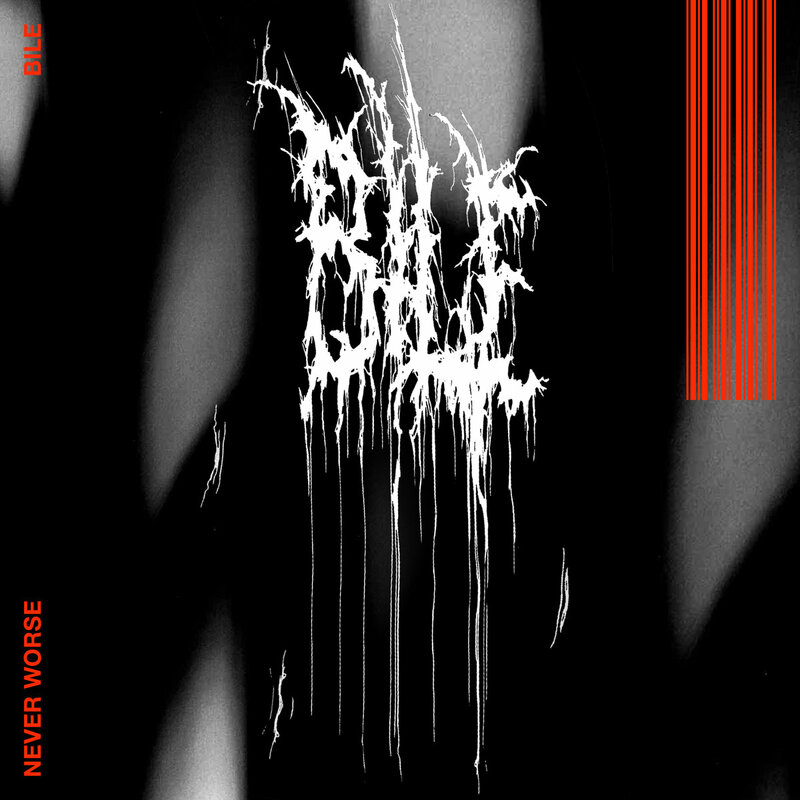 Bile is Never Worse's second release for Steep Incline, following 2017’s Lower. The four-track EP picks up where Lower left off with a series of disorientating and relentless industrial scrapers. Never Worse distills a paranoid rage into unwieldy arrangements of percussive metallic stabs, squeals of feedback and skittering samples that seem to resemble giant insects crawling over rubble or intricate mechanical torture devices akin to Kafka’s Harrow. Never Worse’s bread-and-butter is a dense, rhythmic assault that’s chilling in its intricate monotony. All manner of confusing, clanking and shuddering parts resolve themselves into a brutal order that serves its menacing function with precision and rigour. Despite the harshness of its exterior, the whole thing remains remarkably tightly wound and expertly finished - Never Worse is certainly not lo-fi or scattershot in his approach to making noise. These dominant percussive passages give way to moments of quiet tension-building that expose the eerie, stereo-panning waves of juddering sound that conjure the EP’s atmosphere of unease. These are sounds that breathe on the back of your neck while you’re trying to ignore them. Titles like Gnawed Off and Slither perfectly evoke the EP’s unnerving and bodily quality - the whole thing makes you feel like you’ve got a rare medical condition and should come with a warning not to claw your own flesh off - while the title-track foregrounds the influence of black metal on Never Worse’s aesthetic through a slow-churning barrage of sculpted feedback. As the title suggests, the overarching mood is one of uncanny disgust paired with barely restrained anger - it’s head-banging stuff for people with delusional parasitosis.